Roses are red, violets are blue, Lottoland’s got a $767 million jackpot for you! To celebrate Valentine's Day Lottoland is giving players a chance to win a massive $767 million* on US MegaMillions! Roses are red, violets are blue, Lottoland’s got a $767 million jackpot for you! Whether you’re happily married or single-to-mingle, you’ll fall madly in love with Lottoland’s $767 million Valentine’s Day Jackpot! It only costs $5.00 to get in on the action. Could this be the one you’ve been waiting for? When Does the Jackpot Take Place? 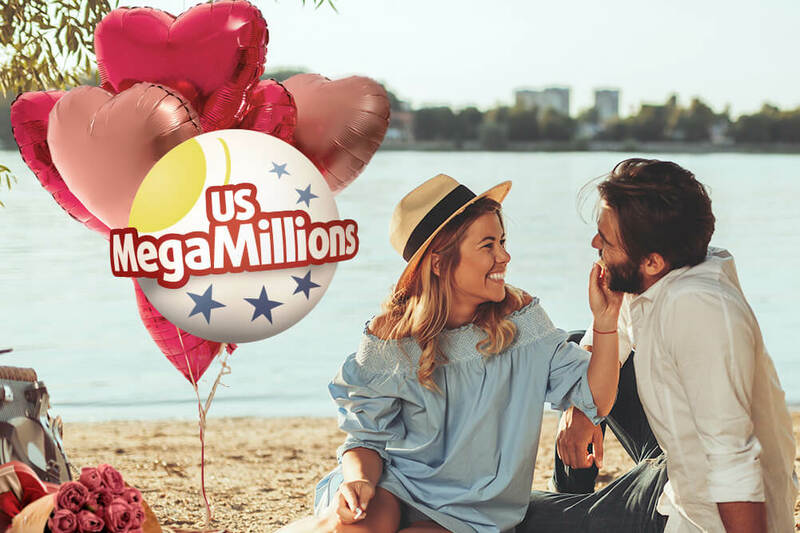 How Much Can I Win on the Valentine's Day US MegaMillions Jackpot? There will be $767 million* AUD up for grabs! There's no two ways about it - if your numbers come up, you'll be filthy stinking rich! Just imagine what you could buy your lover (or yourself!) for $767 million*! Australian residents aged above 18 (excluding South Australia) can bet on the Valentine's Day jackpot at Lottoland. Syndicates give you a much better chance of winning than a regular bet would! You can view our US MegaMillions syndicates below.